FORT COLLINS, Colo., Jan. 25, 2018 /PRNewswire/ -- There's no right way or wrong way to get outside. From beach to peaks, OtterBox enables every adventure. Now OtterBox, an outdoor staple since 1998, introduces the Trooper line of rugged soft-side coolers at Outdoor Retailer + Snow Show. Building on the momentum of the Venture Cooler and Elevation Tumbler launch last year, Trooper is designed to enhance any outdoor experience with expertly engineered features. Both products feature extra-wide straps for easy carry and external pockets to keep your valuables in an easy-to-reach, water-resistant sealed pouch. "OtterBox launched 20 years ago to solve a pain point for outdoor enthusiasts, and the Trooper line continues that tradition," said OtterBox CEO Jim Parke. "Every new product from our engineers leverages decades of expertise in design and engineering to bring to market premium products from a brand you trust." A largemouth opening makes for easy loading and unloading with an easy-open latch. Two-inch wide padded carrying straps that convert easily between shoulder- and backpack-carry styles. Thirty-quart capacity and two exterior pockets with water-resistant zippers add extra storage. An easy-access flip top lid stays open when needed with a latch that can be opened single-handedly. A two-inch wide padded carrying strap is comfortable to carry wherever it goes. Twenty-quart capacity and one exterior pocket with a water-resistant zipper provides added storage. Trooper LT 30 and 20, starting at $299 and $249, come with an included bottle opener and are available now in Hazy Harbor (white and blue), Alpine Ascent (tan and green) and Forest Edge (Realtree Xtra camo). All products are covered by OtterBox Limited Lifetime Warranty. 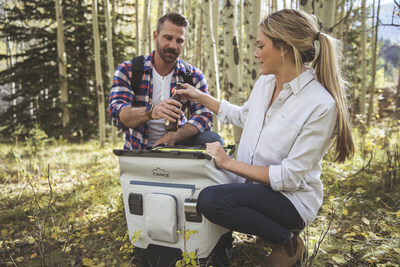 OtterBox is showcasing a full line-up of outdoor gear at Outdoor Retailer + Snow Show in Denver, Jan. 25 to 28, at booth 39071-UL, including Venture Coolers and accessories; Elevation Tumblers in new colors; a new variety of Elevation lids; Trooper Coolers; and 3250 Series Dryboxes. 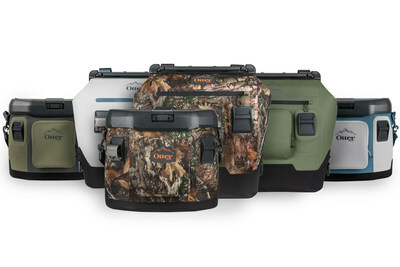 For more information on OtterBox outdoor products, visit otterbox.com. For more information, visit https://www.otterbox.com/.